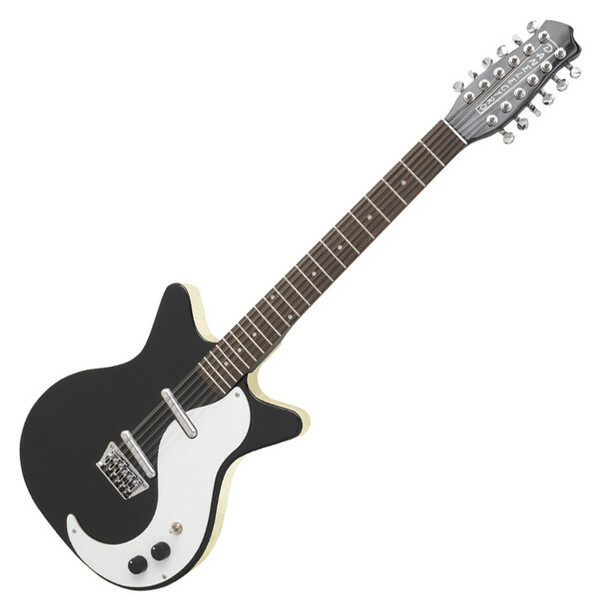 This 12 string guitar by Danelectro features the signature Lipstick pickups first made by founder Nathan Daniel in 1947, and Masonite body. The doublecut '59 Dan now looks cooler than ever, with glossless finish paintwork and matte finish hardware. Adding to the retro vibe is the DC59's edge-tape lacquer and a tinted scratchplate. Twin alnico-powered Lipstick case pickups with warmer spec windings offer sweeter tones and slightly hotter output. The fully-adjustable and intonatable chrome-plated raised-tail bridge and positive action enclosed gear machines for stable and accurate tuning. Body: Masonite, laminated wood frame.